Would you like to bring an experience of wellness into your workplace, conference or special event?  Perhaps you'd like to treat your employees or a group of special friends to an URBAN RETREAT: a relaxing day of self-care and restorative practices, at Haji Healing Salon. We would LOVE to create a custom experience, tailored to meet the needs of your group, at your place or ours! We can provide a personalized yoga experience, community acupuncture, body work/massage services, group reiki, aromatherapy and even tarot and astrology readings. We work with many of the best wellness practitioners in the city, our rates are very accessible AND your patronage makes our SUBSIDY BUSINESS MODEL possible. Funds from our private and corporate wellness services are used to subsidize the cost of healing services for our south side Chicago community. It’s win, win, WIN! We would be delighted to curate beautiful, sanctuary space for your private group. Click the button below to start the conversation. Reiki is a Japanese healing modality used for the treatment of physical, emotional, mental + spiritual dis-ease. Practitioners use a technique similar to the “laying on of hands” to channel energy (KI) guided by Universal Spirit, or Nature (REI) flowing through the the palms of the practitioner, to support healing wherever it is needed. Our practitioners may also employ tools such as crystals and essential oils, to support them in finding and releasing any energetic blockages + enhancing your overall experience. This non-invasive practice is great for reducing stress, inspiring relaxation, clearing stagnant energy and supporting all of our other healing methods. Pair Reiki with Acupuncture, Yoga or Bodywork (massage) to enhance your well-being. Angelana Celeste Grant is a seasoned Reiki Master Teacher, who we are honored to call TRIBE. Angelana shares the responsibility of energetically supporting our community with Courtney Smith, a gifted and highly intuitive healer + reiki practitioner. Book your individual or small group (2-4 people) Reiki session with Angie FIRST + THIRD Sundays or with Courtney SECOND + FOURTH Sundays or TUESDAY evenings 4-8pm. In addition to offering individual Reiki healing sessions, Angelana also provides in-depth training and certification (levels 1-3) for those who want to deepen their self-study/self-healing and eventually support the healing of others with Reiki. We offer several training sessions each year, with plenty of space in between for you to practice your new healing art. To book your Reiki session click the button below. Our nex Reiki training is for LEVEL II and is offered May 10, 4-9pm. Investment is $175. Click the button below and register before May 5th to join us! Be sure to check out by clicking the CART button in the upper right hand side of the screen to complete the reservation process. Haji Yoga Social Club is the social (read:party people) arm of the Haji enterprise. We inspire, engage and unite Chicago yoga community, through the curation of unique yoga events, each taking place within unexpected south side spaces. Our landmark offering is The Haji Yoga Supper Club, an exciting event that marries yoga with live music, a gourmet vegetarian/vegan meal and inspired dialogue around the evening's theme. This special event is offered quarterly and has the goal of highlighting the diverse yoga, musical and culinary artists, living and working in Chicago. Join us Friday May 17th for A Haji-Style REVIVAL. Click the button below to learn more and reserve your space inside this unique experience. Friday May 3, we gather to tell our stories of healing, liberation and transformation during TELL IT! A brand new community storytelling event with special musical guests Jaime Woods featuring SOLO! Guest storytellers to be announced. Storytellers sign up via link below. This event is FREE!! Sunday May 12, treat mom to a day of healing, wellness and high vibes at Haji Healing Salon. This Mother’s Day we are offering a special vegan, buffet style brunch (with seating) in our rear salon, in conjunction with the regular Sunday Sanctuary community healing program. Reserve brunch via button below. $20 includes bottomless coffee + tea by Oh So Medicinal + Mimosa! Because we are all about sharing the love, we also curate special events for YOU! If you are a yoga studio owner who wants to build community by offering a fun and engaging night of yoga, music, food and community... you have come to the right place! We will custom-build a beautiful event that features your teachers and your locally-sourced talent. Request a consultation via the curated wellness services page and we'll get right back to you to start planning! Join us for an uplifting community yoga class, led by one of our skillful instructors, in a warm and nurturing environment. We offer Absolute beginner, Hatha Yoga (YOGA FEWL), power (BLACK POWER YOGA HOUR), Vinyasa (SUNDAY SANCTUARY), GENTLE YOGA (Woosah + Simmer Down SAnctuary) and private yoga lessons. Classes are offered throughout the week. All classes are 60-90 minutes and $10.